In 1989, Tim Berners-Lee submitted “Information Management: A Proposal” to CERN. 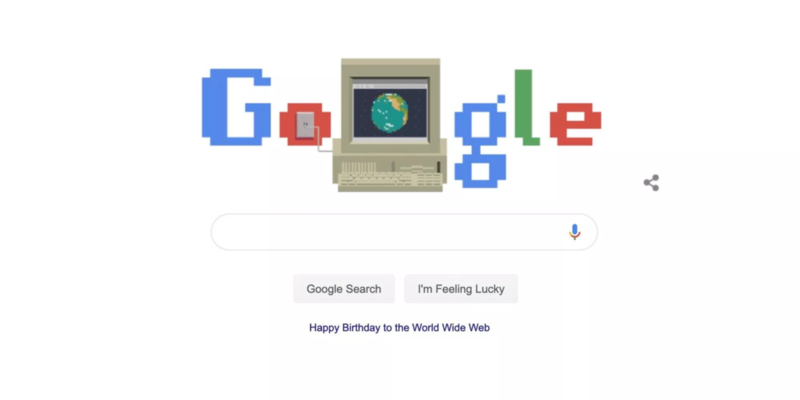 Thirty years later, the web has had a revolutionary impact on the world, and Google.com is marking the occasion today with a quaint Doodle. Visiting the Google homepage on the web, or Chrome’s New Tab page, displays the company logo in a charming and retro 8-bit style. The second ‘o’ is replaced by a beige personal computer connected by physical wire to an outlet in the red ‘o’ to the left. On initial load, when viewing from Google.com, internet packets stream into the computer to load a spinning Earth. This animation plays in a continuous loop. Underneath the pill-shaped search field that was added last week as part of the Google Material Theme redesign is a “Happy Birthday to the World Wide Web” message. Clicking opens a Google Arts & Culture collection that reflects on the web. This editorial feature provides a brief history of its origin, how-it-works, and its rapid growth to a “5 billion person network” today. There are several pictures and videos, including the original NeXTcube used by its designer — now Sir Tim Berners-Lee. 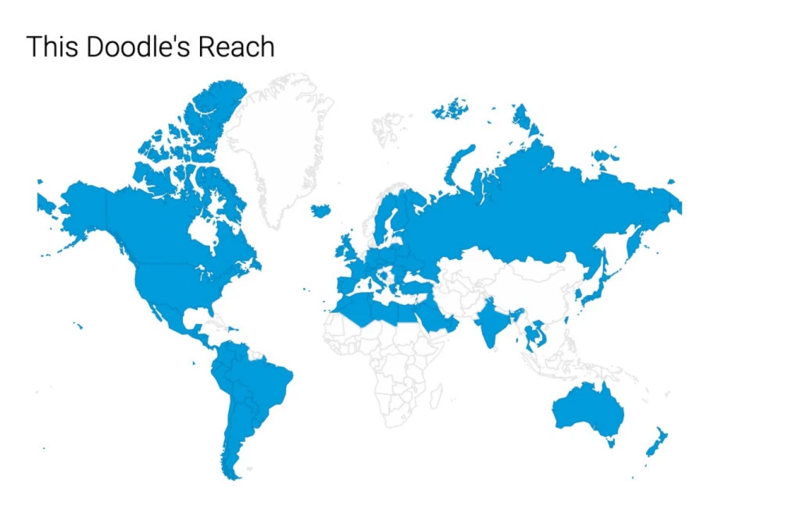 The Google Doodle team also has a brief recap (above), with the graphic and animation available throughout most of North and South America, Europe, parts of Africa, Asia, and the South Pacific.